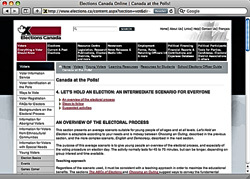 This fall is election time in Ontario, and these sites get our vote for useful resources to help you instruct your students on the election process and democracy. For additional resources visit NetWatch at professionallyspeaking.oct.ca. For past editions and additional sites for other topics, click on back issues ➔ Netwatch Archives. 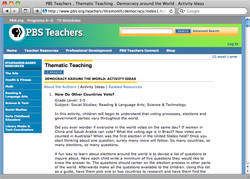 Head to the site's information-rich Learning Resources section (Voters ➔ Young Voters ➔ Learning Resources) and click on Resources for Teachers. Download or view the Canada at the Polls! 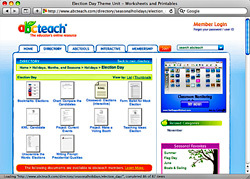 kit for tips on everything from election basics to how to stage a mock election in your classroom. It's easy to devote lots of (well-spent) time to this impressive site. 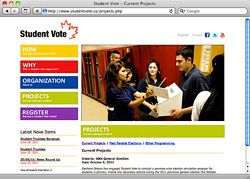 Get your students in the voting spirit with this edgy site containing lesson plans that focus on understanding the parliamentary system, voting rights and the expansion of those rights in Canada over time. 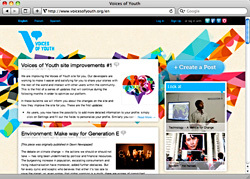 A heavy focus on music and artists should make the site a hit with students, too. This non-profit organization sends out materials such as activity ideas, campaign posters and ballot boxes to help schools follow an election campaign and run their own mock election. Hurry! The deadline to register for the Ontario election is September 21. This open blog allows students and teachers to submit stories about global issues. Many of the entries highlight the push for democracy throughout the world. 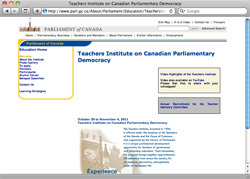 They can be used as discussion topics to help students put the political freedom enjoyed in Canada in perspective. 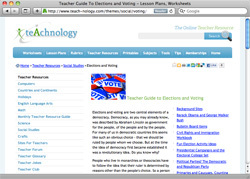 In the Elections theme unit in the Directory section (Popular Categories ➔ Theme Units ➔ Elections) you'll find numerous downloadable resources to use in a mock election, including ballots, candidate comparison sheets, and word scrambles and crosswords. Other resources are available for those who sign up for a membership (US$39.99 per year).